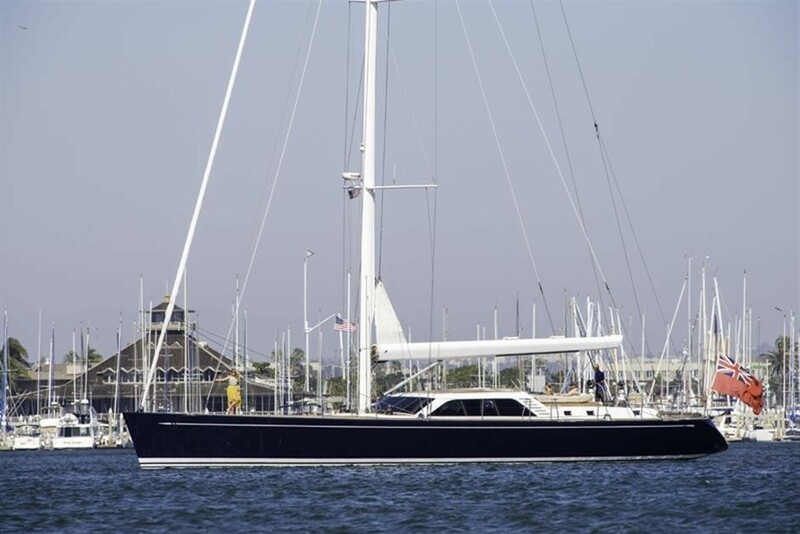 Sailing yacht PADMA (ex Clevelander) is a Nautor Swan 82 ft sailing yacht with naval architecture by German Frers launched in 2004 and refitted in 2010. 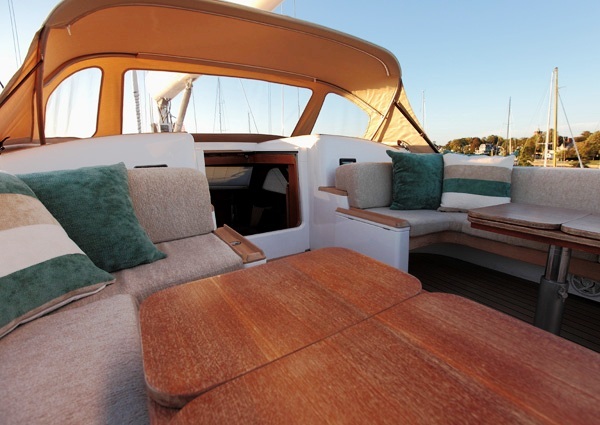 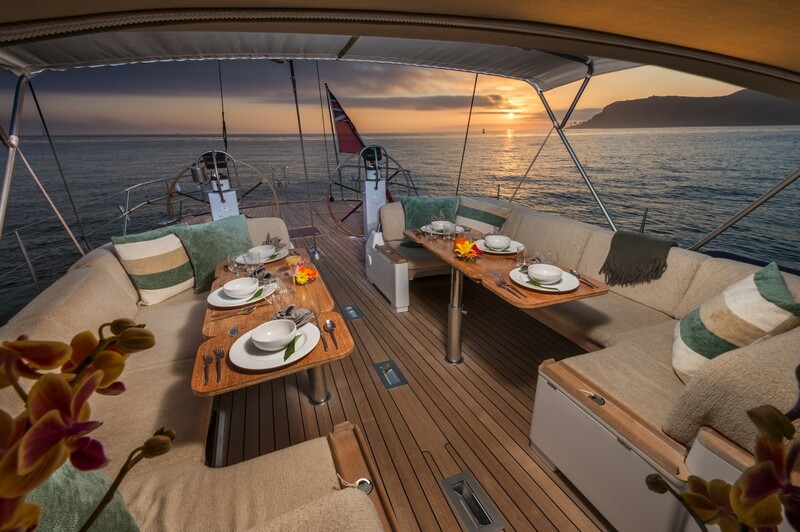 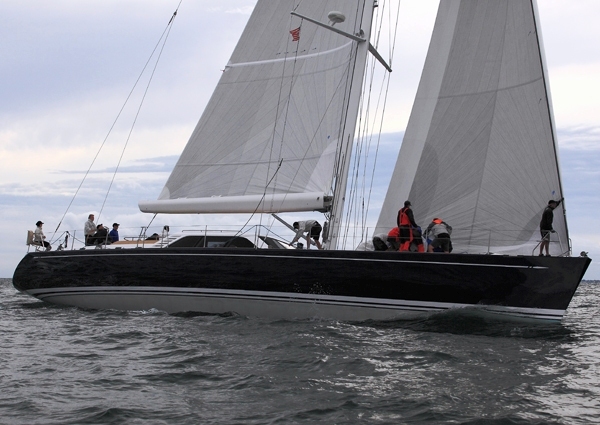 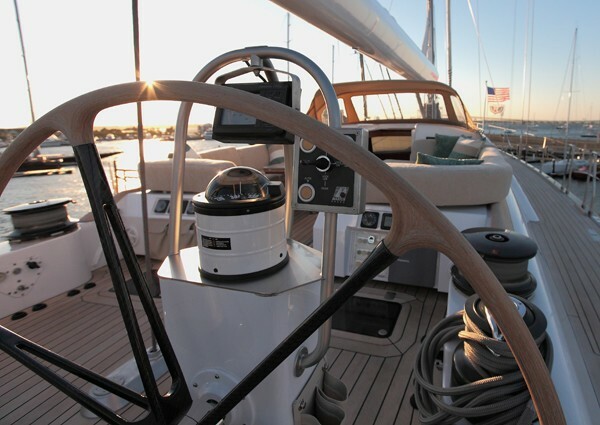 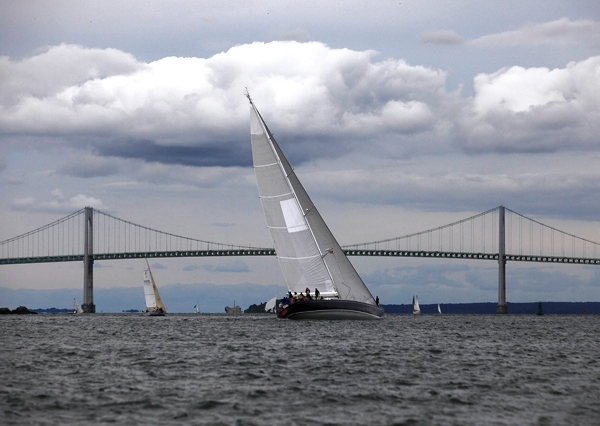 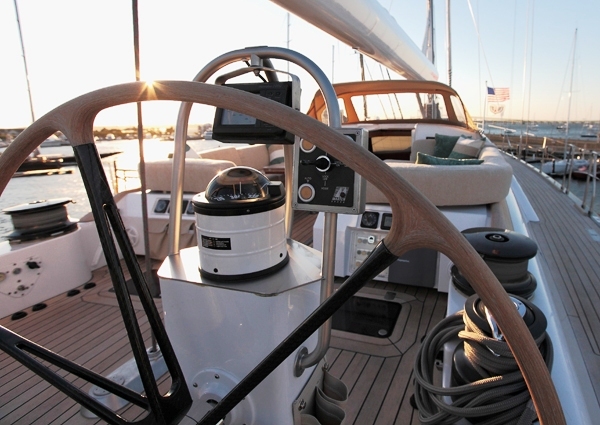 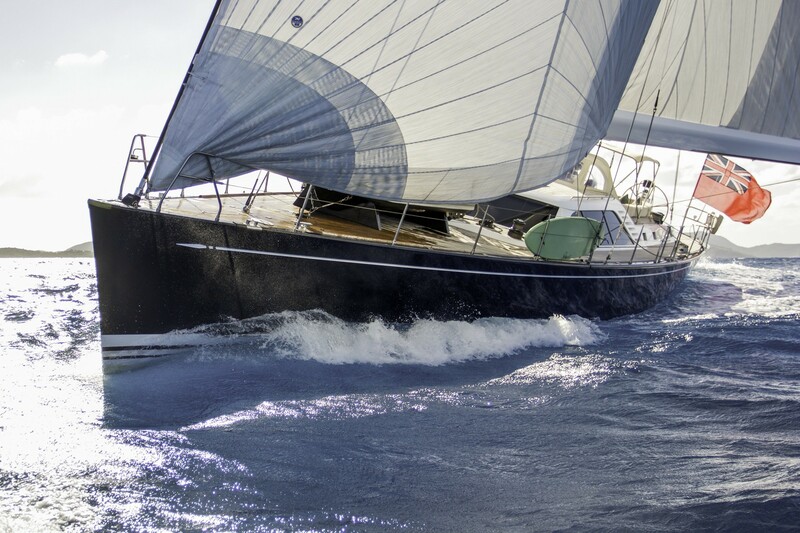 S/Y PADMA is a true cruiser/racer offering both comfort and fantastic sailing performance. 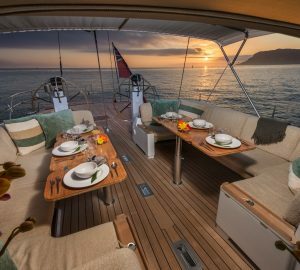 This Swan 82 is able to accommodate up to 8 guests on a luxurious charter vacation in the Caribbean or in the Mediterranean. 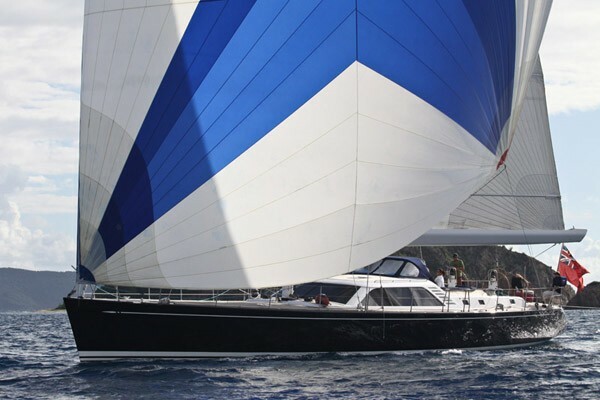 Measuring 24,99m (82’) with a beam of 6,32m (20' 9"), the Nautor Swan 82 is light, fast, elegant and comfortable. 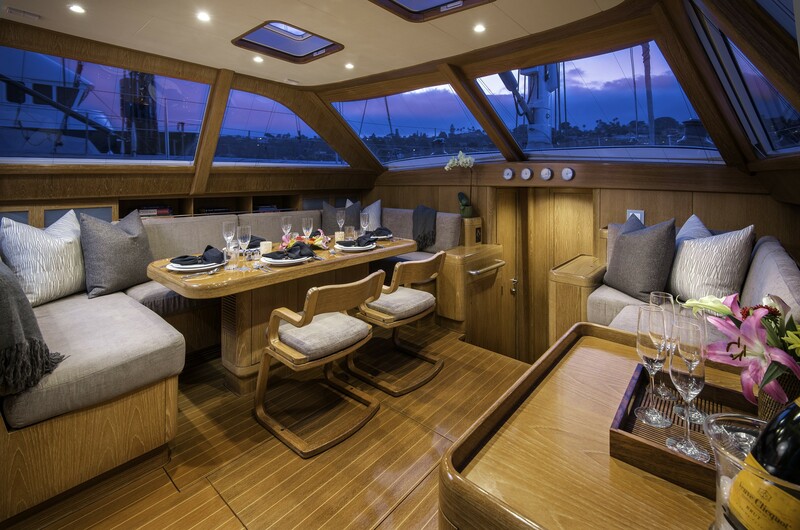 Sail yacht PADMA has an adjoining salon and dining area featuring a U shaped dinette to port, a couch and the navigation station to starboard as well as a large cockpit where you can relax, enjoy an exhilarating sail, or dine al fresco. 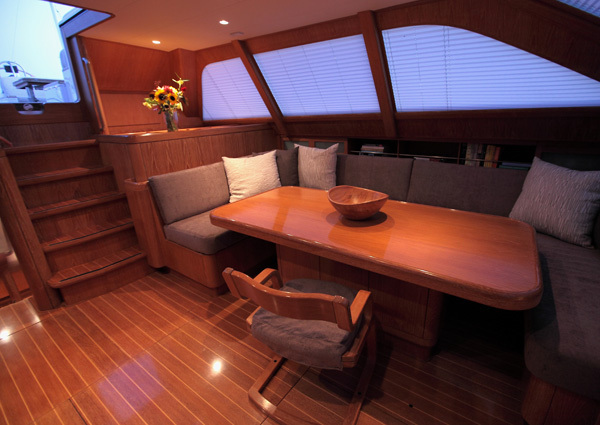 PADMA is able to comfortably accommodate 8 guests in 4 comfortable staterooms. 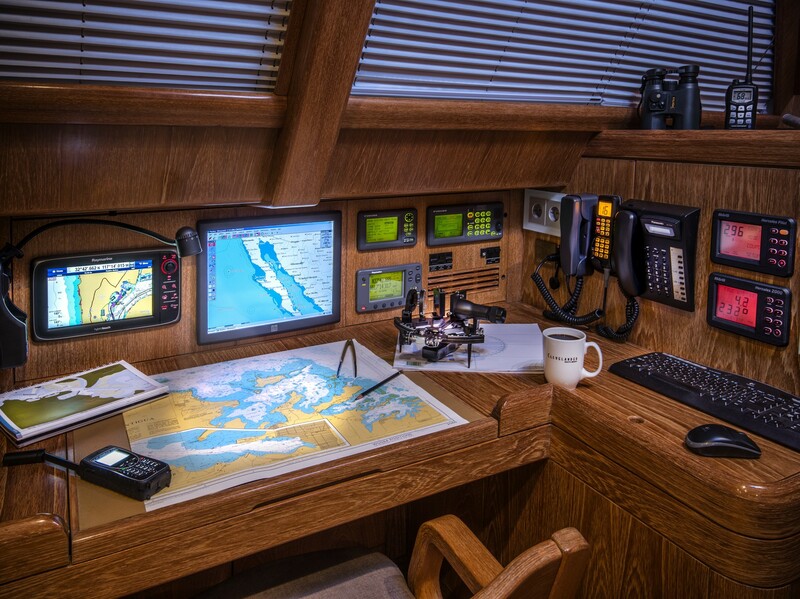 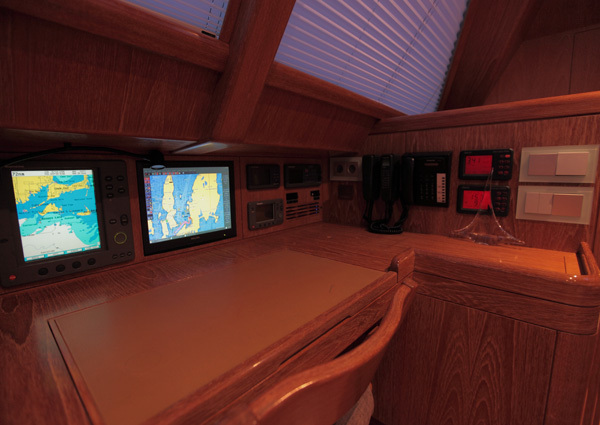 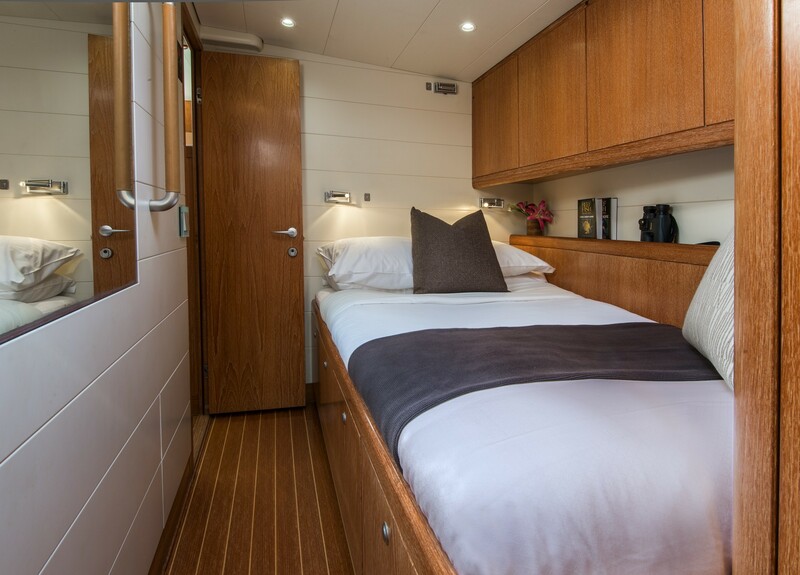 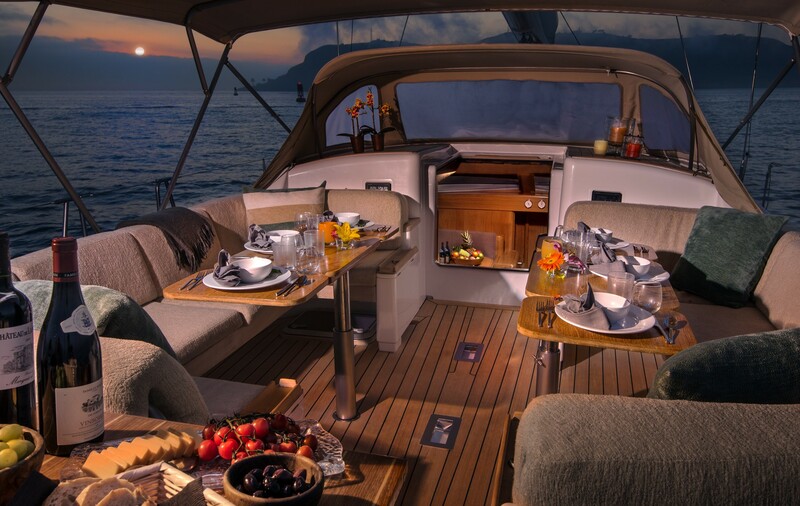 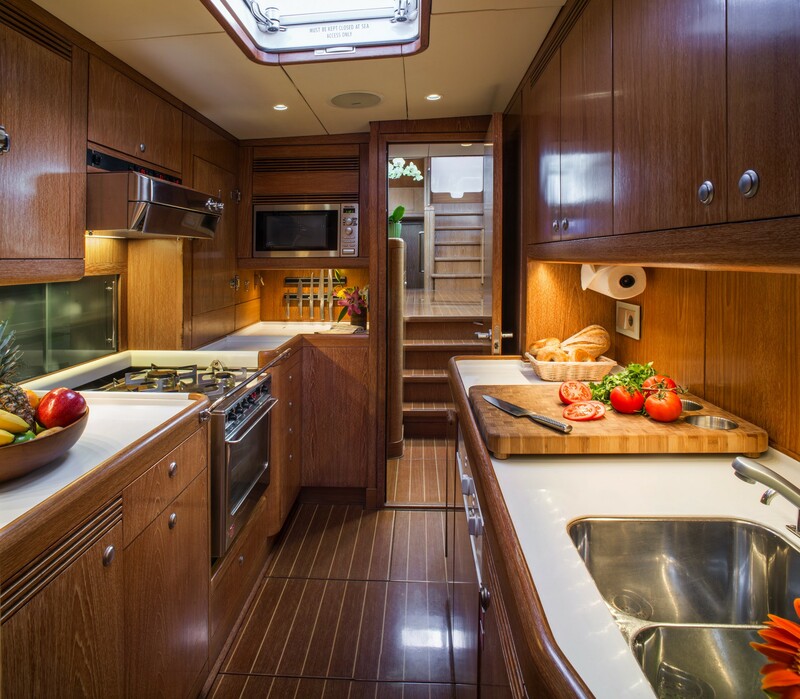 The aft master cabin features a queen bed and an extra large, separate shower on the starboard side with a head, bidet and sink on the port side. 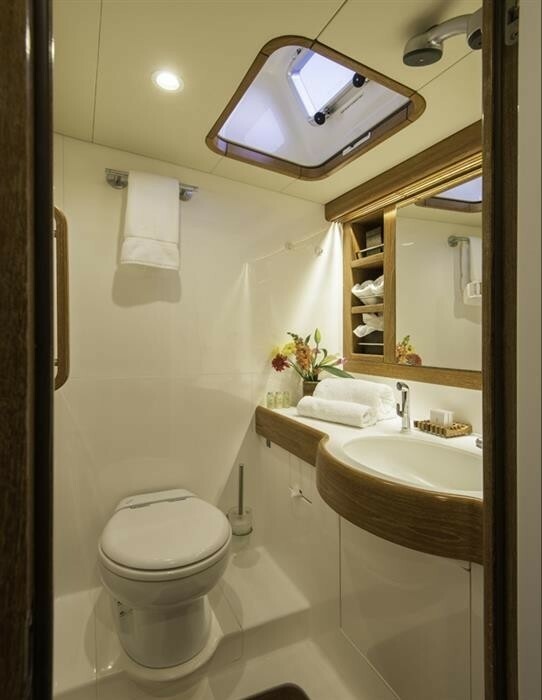 The cabin located to port offers two single beds and the forward port cabin offers a full sized berth and Pullman. There is a very small fourth cabin suitable for a child. 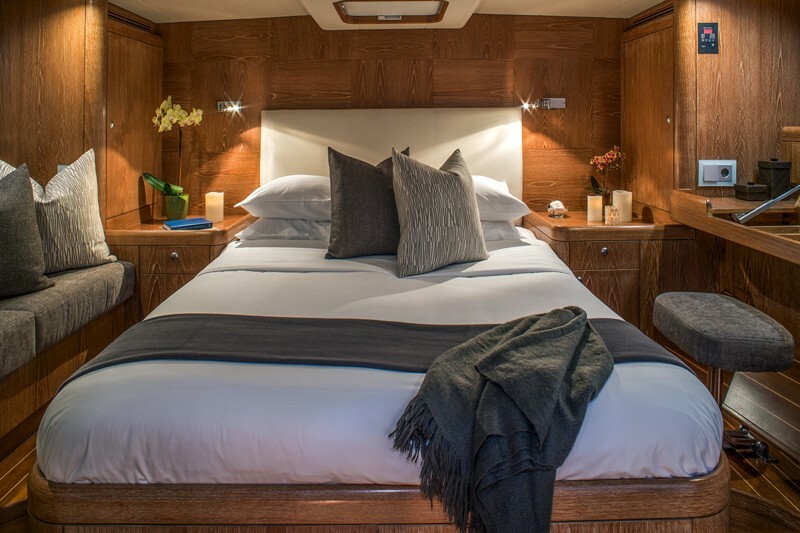 All of the staterooms have a private, ensuite bathroom and offer the finest linen sheets and down pillows as well as air conditioning. 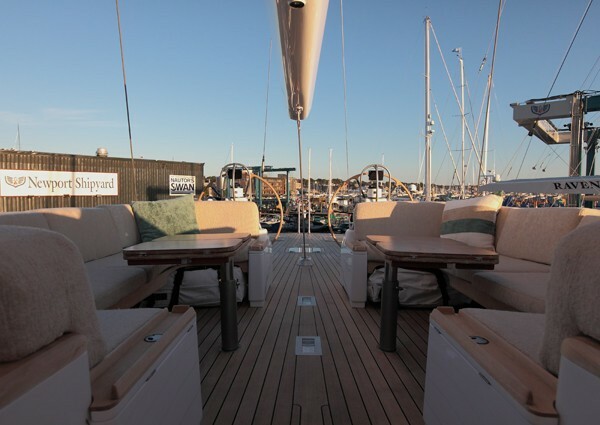 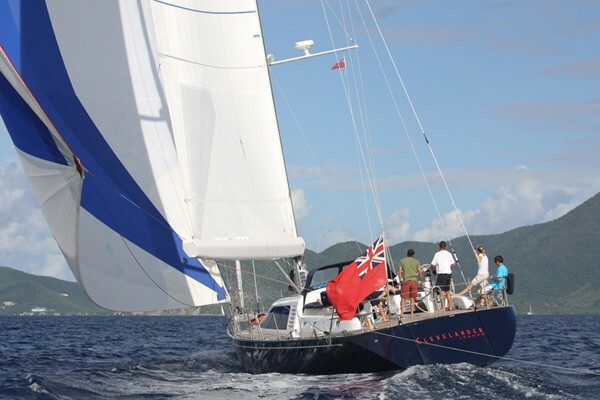 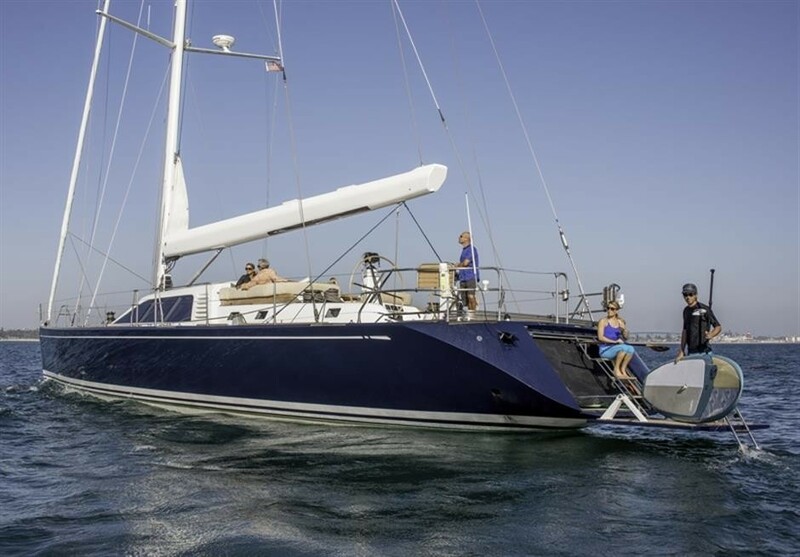 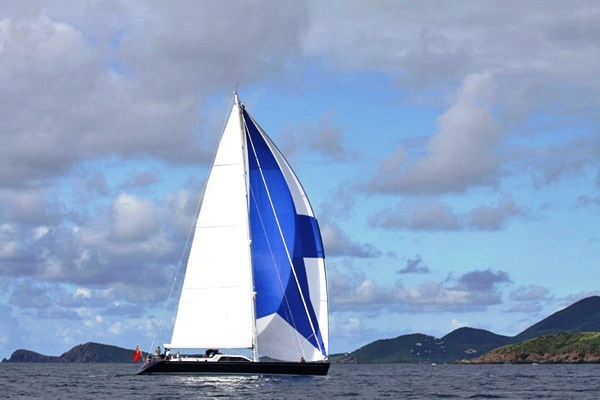 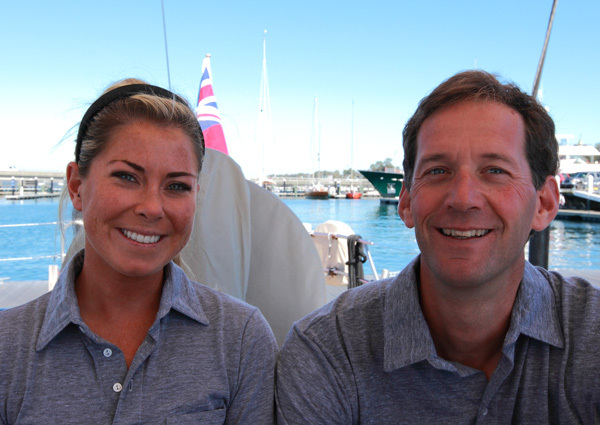 In 2010, she received a refit where she received a new hull paint, new Running rigging, a new Mainsail and jib and new Upholstery below and on deck. 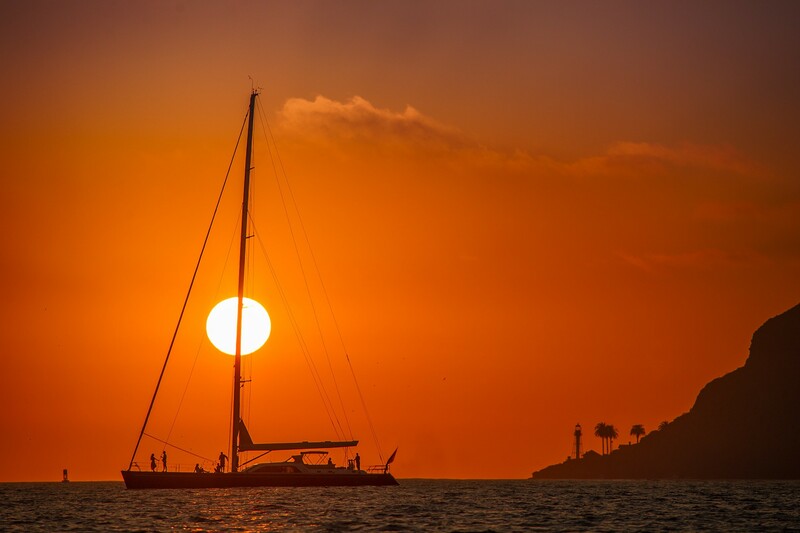 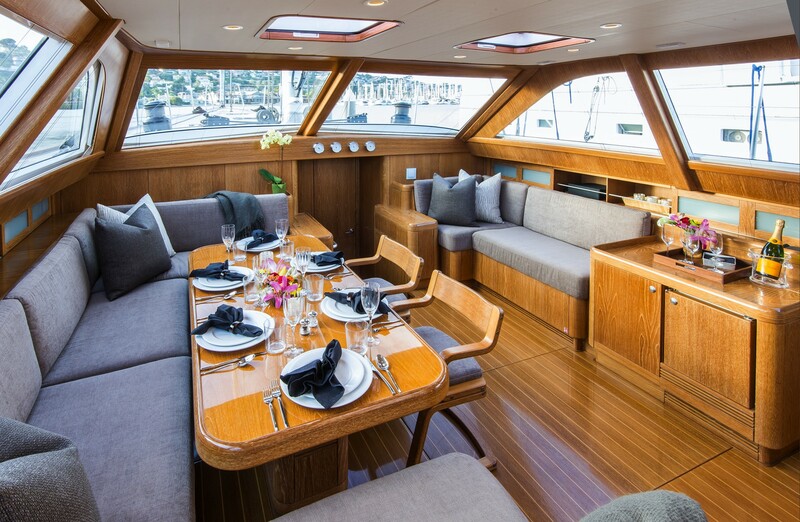 Swan sailing yacht PADMA has a professional crew of 3 who offer guests the ultimate sailing experience along with fine dining, great hospitality and luxurious accommodations. 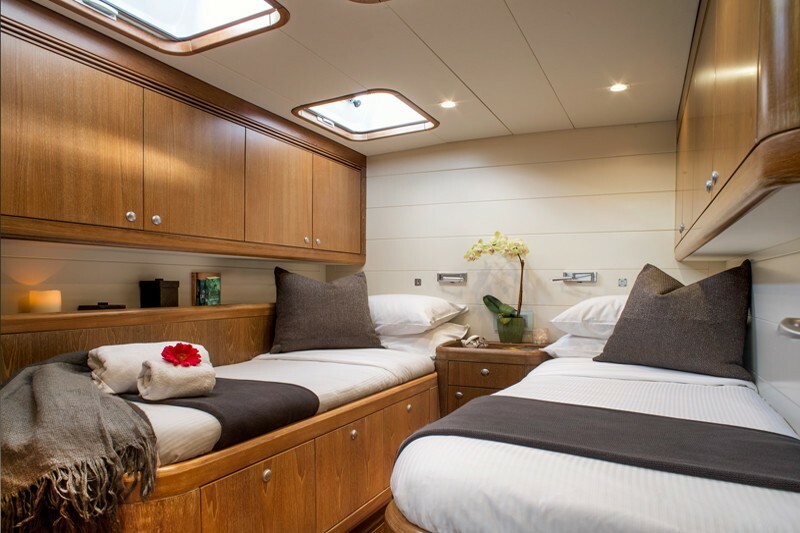 Flexible custom itineraries are available for cruising throughout the Eastern and Western Mediterranean as well as the Caribbean. 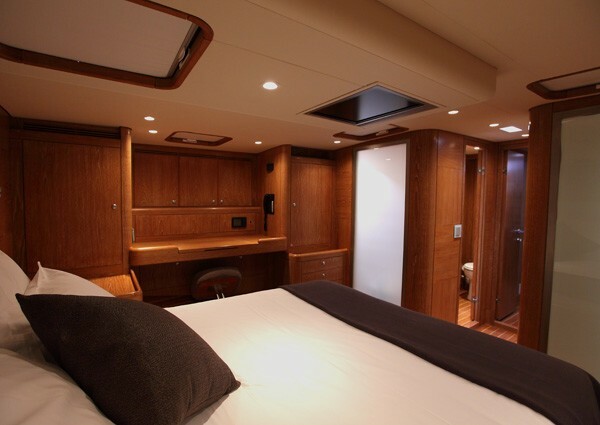 The Nautor Swan 82 PADMA is able to comfortably accommodate 8 guests in 4 comfortable state rooms. 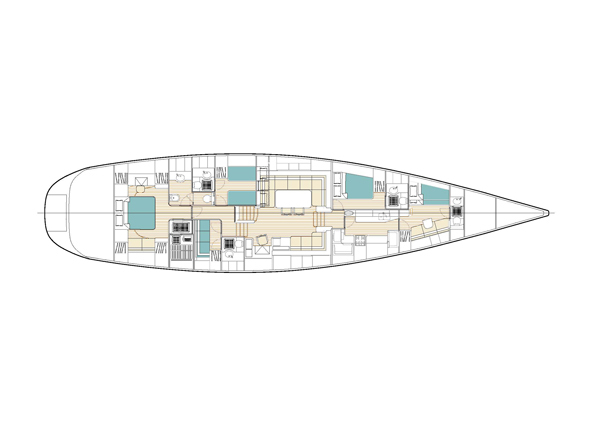 1 Queen, 1 Double + Pullman and 2 Twins. 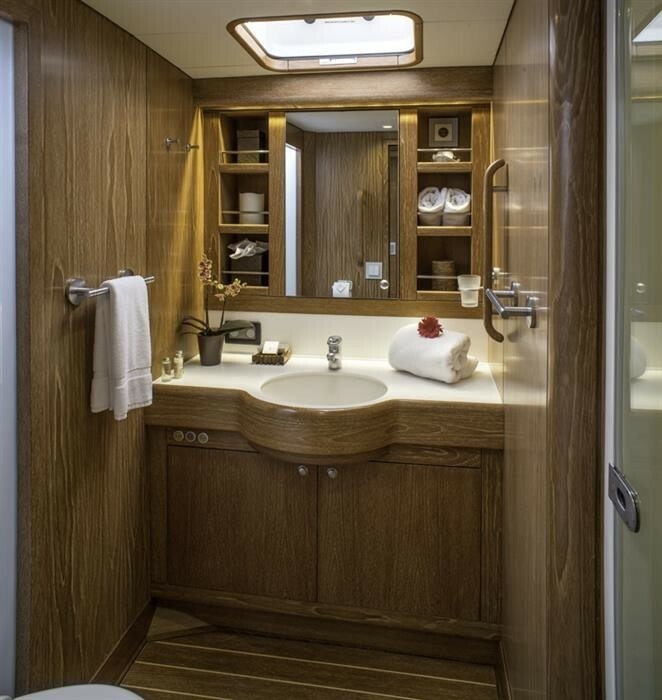 The aft master cabin features a queen bed and an extra large, separate shower on the starboard side with a head, bidet and sink on the port side. 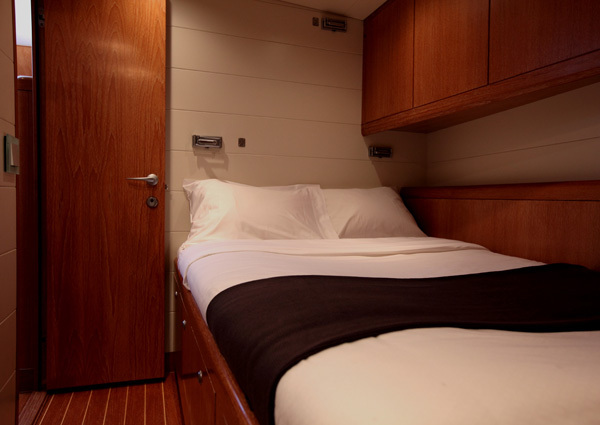 The cabin located to port offers two single beds and the forward port cabin offers a full sized berth and Pullman. 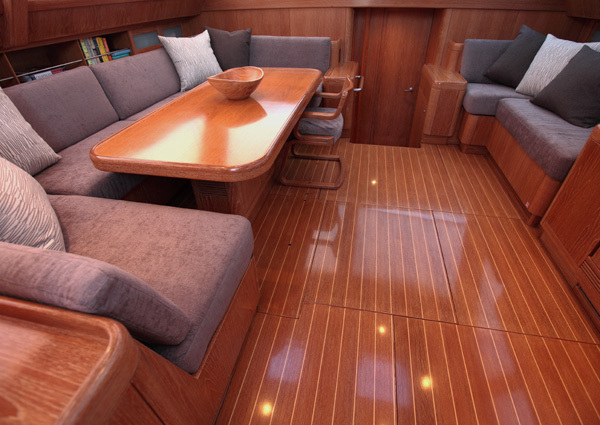 There is a very small fourth cabin suitable for a child. 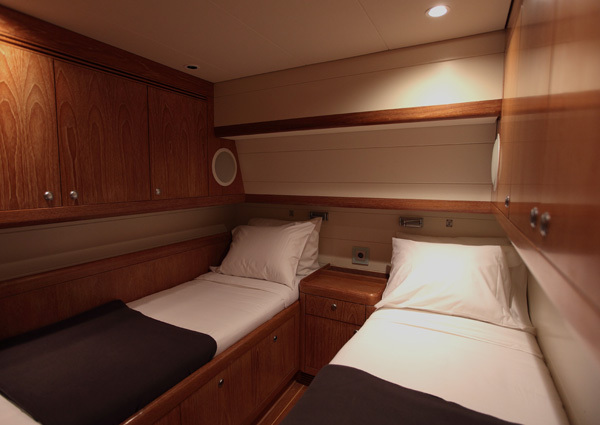 All of the staterooms have a private, ensuite bathroom and offer the finest linen sheets and down pillows as well as air conditioning.